No moving parts or fragile filament, no fragile parts of glass, no toxic gases. That makes it robust, shock resistant, hard to crush and environment friendlier. Aging does not result in sudden failure, as it happens when filament in classic bulb burns out. The brightness rather decreases over time. Nevertheless high-brightness LEDs (eg. Luxeon) enjoy long life-span - after 50 000 hours they still provide 70% brightness. In comparison, the lifespan of classic filament bulb is only 3000 hours. 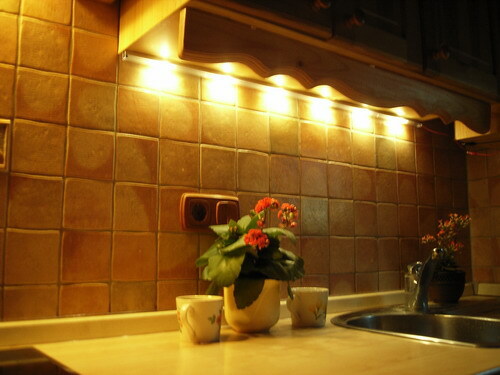 Because you will probably never have to replace a high-brightness LED this will result in lower maintainance cost. Efficiency (lm/W) is at least 2x as better as with classical filament bulb. Different colors are achieved by technology. For producing green or red, for example, no color filter is needed - it could decrease illumination for up to 70%. The spectrum of emitted light also does not include UV light that could damage illuminated object. Small dimensions and compactness allow construction of different shapes of illuminating devices. As we can use multiple LEDs in a single device this means that the light source is not a single point anymore - it is spread over a surface. LEDs also do not emitt light in all directions as classic bulb do. Light beam is contained in desired angle, typ. up to 120 degrees, and is determined by the shape of LED. Therefor there usually is no need for lenses and reflective surfaces. Instant turn-on without the need for start-up sequence. Dimming does not affect color. It will remain the same regardless of brightness. Low operating voltage allows safe handling and satisfies safety meassures. It also simplifies supplies from batteries. Next important piece of information is light color. The most desired is white light as it resembles daylight. Long-term exposure to unsuitable light color causes discomfort. Because white light is really a mixture of different colors we describe differences in white light with so called color temperature, expressed in kelvins [K]. So for example the yellowish light emitted by filament bulb has a temperature of approx. 3000K and is called “warm white”. Light emitted by halogen bulb has a temperature of approx. 5000K. Temperature of 6000K to 9000K is more blueish and is called “cool white”. In general have warm white LEDs a slightly lower luminous efficiency [lm/W], which means that choosing “warm white” over ”cool white” will result in less brightness.. In case you need a product with a different light color (green, blue, red, yellow) do not hesitate to contact us. In the catalogue every product has a listed illuminance, beam angle, light color and temperature and number and type of LEDs used. If type of LED is not stated then regular 5mm LEDs are used. Some products incorporate high-brightness LEDs, like popular Luxeon LEDs, that replace several regular LEDs. In contrast to classical bulbs are LED sources little more sensitive to the way they are powered. Filament bulb is supplied by a voltage source and small variations in voltage cause only small variations in current consumption and brightness. With LED diodes small variations of voltage result in large variations of current and brightness. Therefor we must use a current-source to supply LEDs. We have developed appropriate solutions depending on the application, from battery to off-line supplies. Most of our products have built-in DC-DC converters or linear power supplies. External power supply is needed only with linear LED stripes depending on quantity and length of stripes. A dedicated control was developed for dimming and mixing of colors. Also pay attention to extreme sensitivity of LEDs to statics. Ground and discharge yourself before handling. As price / illuminance ratio still has to improve it is not yet viable to use LEDs as replacement for heavy duty light sources (like 100W bulbs) Therefor the use of such lighting is still contained to applications where features outperform the drawbacks. One of such are marine applications where there is a need for focused light beam, for example illumination of tables, bathrooms, kitchens, as anchor or signal lights etc. This inherited feature eliminates the use of reflective surfaces and increases efficiency. Add this to small power consumption and you get improved energy conservation scheme which is desired on boats. Built-in DC/DC converters provide constant brightness regardless of the state of charge of the battery. Compactness and resistance to breaking assure durability and low profile. Long life-span of LED diodes reduces maintainance and eventual replacement. Interference with existing installation is often not desired, if possible at all, so we designed some of the products as add-ons. 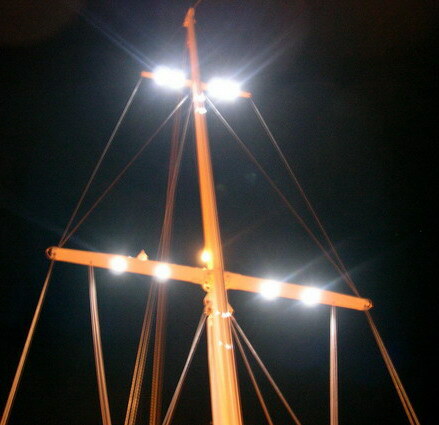 For illumination of boat’s exterior we developed LED stripes and various mast and anchor lights. If you intend to use our products for exterior please ask for waterproof construction. Nevertheless do interior and exterior of boats demand higher attention, so you can choose among several materials - mahogany or massive wood, stainless steel, coated aluminium, chrome etc. For illumination of rooms and objects we can offer you popular line of linear LED stripes that provide directed or ambient light. Their features are compactness and small profile, distinctive light pattern, resistance to breaking and low voltage power supply that adds to safety, furthermore low power consumption and long life-span. 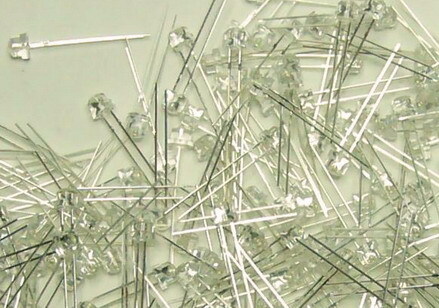 You can choose among various lengths, types of profile, and type, color and density of LEDs. For outdoors we offer waterproof design. Some examples of our installations - in households we illuminated kitchen corners, shelves, drawers, cabinets, bathrooms, saunas, doorways, terraces etc. In catering we use them for illumination of counters, boards, pictures, signs, showrooms, steps, fences, roofs etc. With LED stripes that incorporate red, green and blue LEDs (RGB stripes) we enable you to manually set desired color and brightness or select one of color mixing and dimming modes. LED stripes require external power supply. It is determined by the length of stripes, geographical distribution, type and amount of LEDs. Among some other illumination products are two-dimensional LED boards with planar illumination. As LEDs are spread over a surface this means that illumination is equallly distributed. Slim profile makes them adequate for exit signs, stepwalk indicators, object designators, signs etc. For supply from the AC grid (off-line supply) we can offer several solutions. For low power systems up to 5W we can offer miniature DC/DC converter that can act as current or voltage source (BM400). A version of this supply can be fitted inside a profile for use with LED stripes (BM401). For smaller stripes and systems you can use inexpensive voltage source like BM410 and BM411. For larger systems and powers you can use a supply from family BM420. Because internal structure of stripes depends on a power supply you must select power supply before ordering a stripe. Due to popular demand we must also inform you that LED based products cannot be directly dimmed with regular (thyristor and triac) based dimmers. For this purpose we developed 3-channel dimmer (BM451) that allows manual or automatic dimming and mixing of colors. If a product is used for illumintion of exterior (especially signs) this circuit also enables dimming by a photosensor. The darker it gets the less LEDs glow (down to a quarter of original brightness) as the eyes are more sensitive in the dark.